Greetings readers! Long time no blog, sorry about that. What a ride! This year has been quite an amazing experience! I apologize for not posting more often this year. With the success of my #1 bestselling book (Thank YOU readers! ), being nominated for a Pulitzer Prize in non-fiction literature, TV & Radio appearances, teaching first time home buyer seminars and of course serving my clients as a licensed mortgage loan originator I have been a bit busy. I have had the privilege of helping so many first time home buyers. It's such a joy to be at their loan closing and experience their joy, pride and sense of accomplishment with them. Wow! I have the best mortgage clients and am so blessed when they also become friends. And don't forget the investment property I bought and rehabbed earlier this year. It's all done and now both sides of my new duplex are rented and cash flowing. I love real estate! Ok, so now that you are updated on what's new with me....why am I choosing to invest time blogging again after my internet absence? I'm still just as busy as I have been, as I am constantly working to improve myself and help more people. Well, 2 reasons; the first reason I'll get to in a minute. The second reason is that I didn't realize how many of you are reading my blog. You don't comment often, so I didn't know how many of you have actually been reading and enjoying the information. I am so glad to see that so many of you find my blog posts and book a helpful resource for you. I realize that mortgages are not the most interesting topic, so I do try to make it fun & interesting while saving you thousands of dollars. 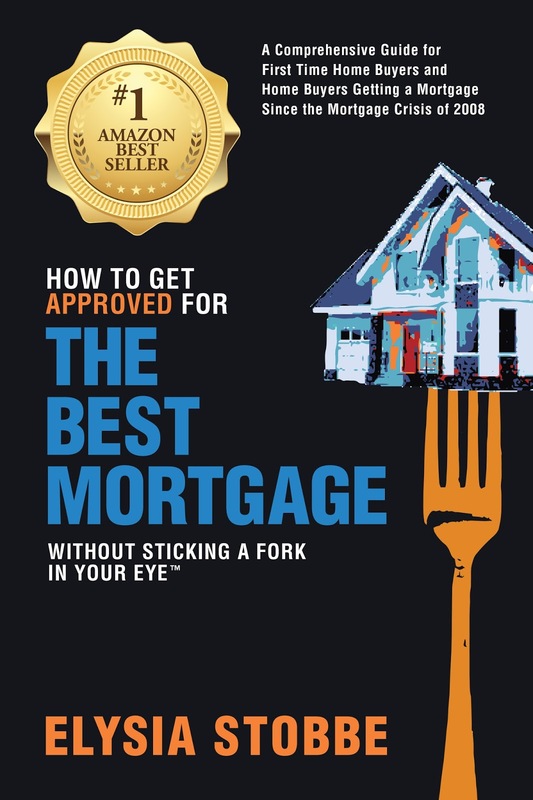 My mission is to save as many people as possible as much money as possible and for you not to have too much trouble with your paperwork while going through the mortgage process. Oh, and most important in that experience, that you actually get approved and close on your loan for your home. 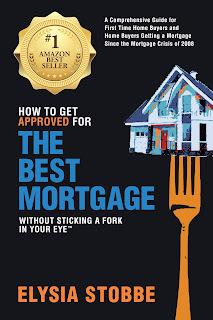 Please feel free to email me at info@bestmortgagebook.com with any questions. I'm happy to answer you. Also, I welcome your positive comments and questions on my blog. Now back to reason #1 for my blog post today. Are you at Home? What is Home? What does Home mean to you? Ah, Home, lots can be said about the word Home. There are many little phrases and cute anecdotes; we've all heard, "home is where the heart is", right? To me, home is where I am at peace. If I am at peace, my heart will be there as well. This can be anywhere, however, to me it's most enjoyed with those I love around me and the bonus is my creature comforts. I've had the tremendous pleasure of traveling all over the globe in the past few years and visiting many friends in their homes as well as staying in hotels. While I enjoy the convenience of someone else making the bed and cleaning my room at a hotel, the warmth, kindness and generosity of friends of course always wins me over, as I am addicted to good stimulating conversation and the opportunity for genuine human connection. Those cherished moments in a friend’s kitchen while cleaning up after making dinner together or brewing morning coffee is the glue that binds our friendships and continues to stimulate my mental and emotional growth. I am so grateful for all those in my life who have hosted me at their homes. I am so blessed to a variety of friends who live in a variety of places who have welcomed me into their homes. I have friends that own their homes, friends that rent their homes, friends that live in the city, in the country, on the ocean, on a river, on a boat, in a river millhouse, on a vineyard, in the mountains, in the suburbs, in a condo, in a single family home, in a townhouse, all varieties. This morning, as I watch the beautiful sunrise come up over the Atlantic Ocean at a generous friend's home and have the warm feeling of peace in my heart I invite you to have a dialog with me. What does HOME mean to you? And what is the benefit of owning that home to you? For some it's financial security. For others it's knowing that it's theirs, that peace of mind and comfort of their worldly possessions being in one place and that they can personalize it anyway they see fit. For others it's the experience of growing roots and becoming involved in a community and contributing. I'm also personally fond of the pride of home ownership as well. There's also something to be said for making your very own space perfect for you. How about all of the above? In your home, you can create whatever you want and contribute to your community in however you see fit. You have the option to choose. So, please tell me what does HOME mean to you? If you own, tell me why you own. If you rent, let me know why you want to own your home. © Ponto Alto Publishing LLC. Simple theme. Powered by Blogger.